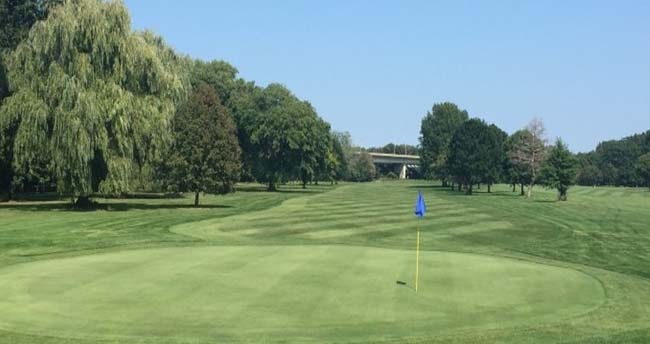 Genesee Valley Golf Course | Rochester Golf | Golf Deal | Go Golf U.S. Restrictions: NO RESTRICTIONS! VALID ANYTIME! Genesee Valley Golf Course joined our discount service in 2017. They are a part of the county courses along with Churchville GC and Durand Easstman GC. This deal is unique as it has NO RESTRICTIONS. This allows our users to play at Genesee Valley GC for $25 including 18 holes AND cart ANYTIME! You should call for a tee time and let the shop staff know you are with Go Golf U.S. and to make sure the course is not booked up. Save yourself $6 if you plan on teeing it up here and cover the some of the cost of the Rochester eBook for the year! Genesee Valley is centrally located in Monroe County and consists of two (2) 18-hole courses. The “Old Course” first opened in 1899 and the “New Course” was built in 1925 and features Rochester’s only Certified AFGL Foot Golf Course. They also host the closest Driving Range to downtown Rochester. It’s great for a lunch break bucket of balls! They do have a GRASS TEEING AREA (weather permitting). When not weather permitting, they have top of the line inserts in the range mats that hold your own tee to your preferred height, no more rubber tees. These are the closest thing to hitting off of turf! They have brought in 10,000 new practice balls! The short game facility consists of a chipping green and huge putting green.